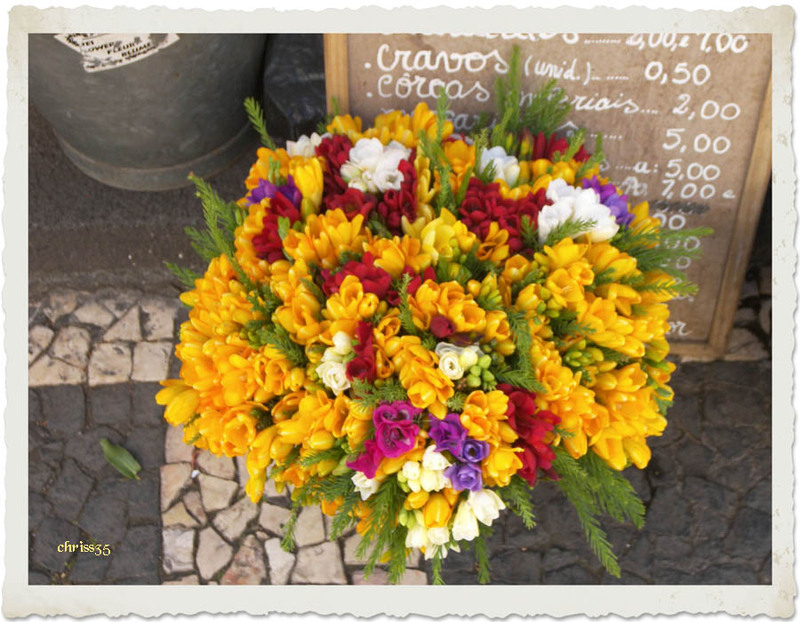 Image is of mixed bunches of Freesia's, being sold at a market in Madeira. 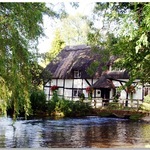 Thank you Brian for your comment. lovely freesias, can almost smell the scent. These are my Mum's favourite flowers and I often buy them for her. What a beautiful composition of these colorful flowers. I like the texture of the street below, in contrast to the soft,colorful blooms. Very enjoyable. 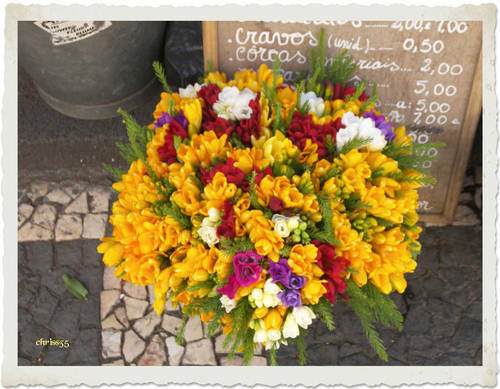 These are beautiful, I love the smell of freesia's, what a lovely capture.